Not to be confused with the vapour rub, Viks Casino was launched in 2016, making it something of a newbie to the online casino world. However, Viks operates on EveryMatrix software, which is tried, tested, and trusted, and puts Viks Casino in a strong position to be competitive even though it is new. 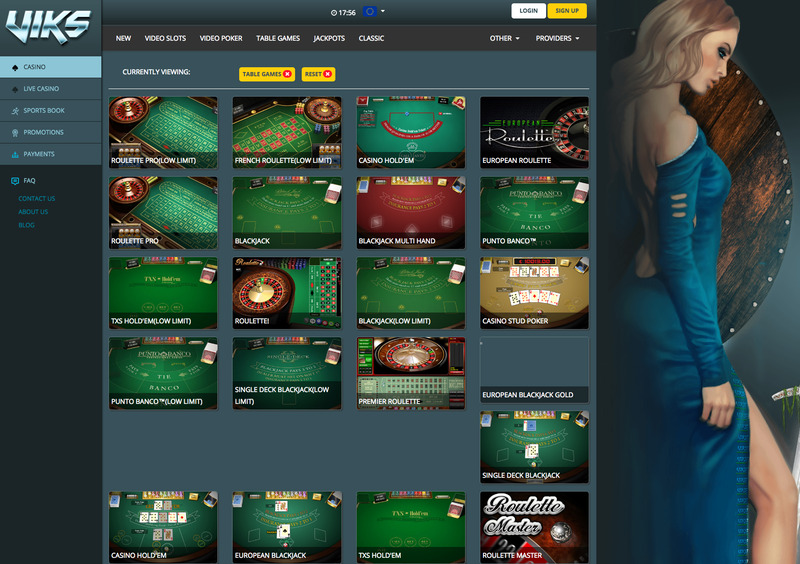 This is a good start for a new casino, however, it will take more than that alone to gain popularity and success for this online casino amongst the smorgasbord of competitors that exist across the four corner of the internet. The sheer number of rivals that any online casino has upon its launch means that a lot of hard work is necessary to make sure that it’s you who gets noticed, and this is the mission that Viks Casino embarked on, knowingly or otherwise, as soon as it arrived online. So, does Viks Casino just try and rely on having a respected name behind it (again, not the vapour rub) or does it push the boundaries it needs to in order to separate the content and style of this casino from all the other options that are available? Viks has something of a futuristic feel to its site, but not a modern futuristic look, more of a vintage one. A vintage futuristic look may sound like an oxymoron, but it isn’t, what it means is that Viks looks futuristic in the way that people in the 80s thought things looked futuristic. This is far from an insult, this classic look was used by a lot of old school videogames, and therefore brings a charming sense of nostalgia with it. The various shades of blue that are incorporated in the colour scheme are varied enough to be interesting, and subtle enough to not be distracting or invasive in any way, which is definitely a plus. As often with new sites, the homepage has a small collection of thumbnails that allow access to the most popular games with one click. The nice addition that Viks has added is a ‘load more’ button, so you have a few games there to start with, but it’s easy to access any other part of the site, but if you want to scan through the games, one click of that button allows you to do that, and then your one click of a mouse away from any game you fancy. A site that wants to succeed in the current online casino market needs to bring variety not only in its games, but also in those providing them. With titles here coming via edict egaming, Evolution, IGT Interactive, Microgaming, NetEnt, NYX Gaming, and Play'n GO, Viks does a pretty good job of this, but there is undoubtedly space for a few more here to add that extra level of choice for players. As it is, the list may be limited, but with a few high-profile developers, and a few that are lesser known, it at least offers a decent mix for players. With a strong selection of video slots and classic slots, it is fans of this game type that will be most happy here, but there’s also a fair collection of table and card games, especially video poker, many of which can be played in a Live Casino setting for that true to life experience. 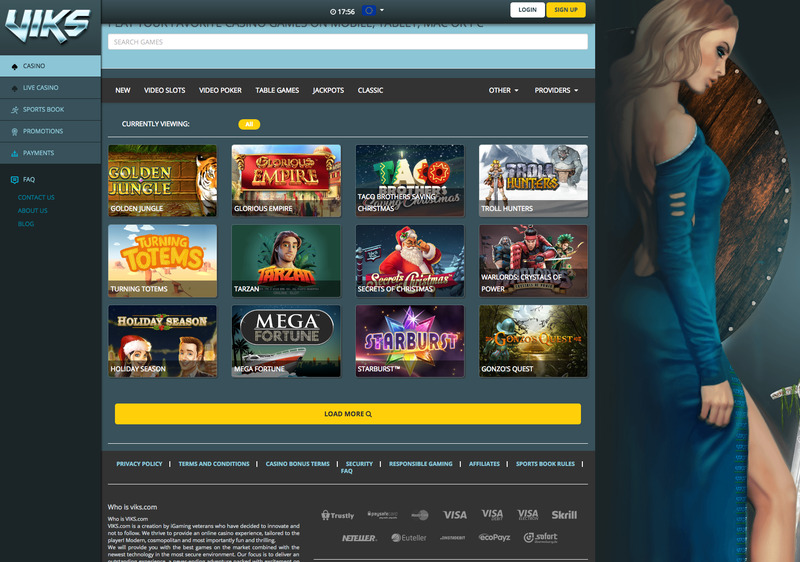 Viks Casino is not necessarily bringing anything new, although it does boast navigation that is arguably the simplest around, but everything it does, it does very well, so if you like consistency, this site is worth a look. A few more names providing the games, and Viks could be genuinely competitive.